Every year aquascapers across the world prepare themselves to submit their works for competition. 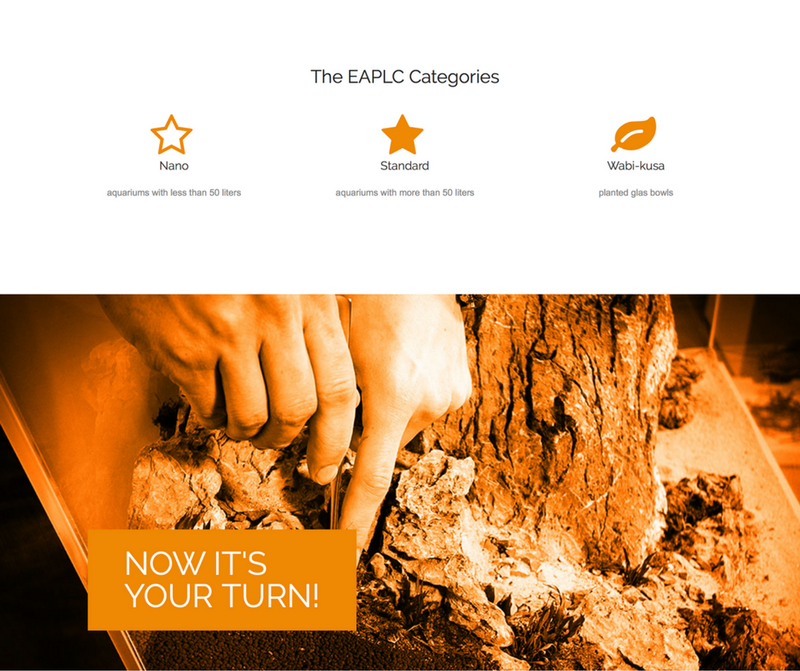 IAPLC takes the top spot when it comes to importance and visibility of these contests. But others are slowly gaining importance too. One of them is the EAPLC, or European aquatic plants layout contest. 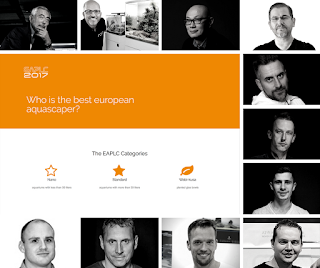 The contest started in 2012 under the name German aquatics plant layout (GAPLC), originally it was open to aquascapers from Germany, Netherlands, Austria, Switzerland and Belgium. 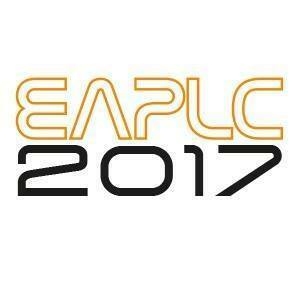 Over the time the success of the contest meant that in 2014 it opened to all the countries in Europe and in 2015 it was renamed EAPLC. The 2017 edition is now open, and you can submit your aquascape from the 1st of july to the 30th of September. Unlike the IAPLC which you can only send one aquascape, in the EAPLC there are three categories, and you can submit one work for each of them. The judges of this contest come from all over the world and are all very well known to the aquascaping community. For those worried about being disqualified from IAPLC, the EAPLC is recognized by ADA and because the contest winners are only announced after the IAPLC results are published you can even submit the same photo. Results are announced after the IAPLC's and in November the EAPLC party takes place where results are announced and winners collect their prizes. This event is open to all aquascapers, even if you didn't enter the competition. Last year even though I didn't submit an aquascape I attended the party. It took place in Hamburg Germany and it was the high note of my 2016 aquascaping year. During the UKAPS experience last year in London I met a German aquascaper, called Jurijs Mit JS, turns out that not only is Juris a very talented professional aquascaper, he is also one of the three presenters of the Scapefu podcast, was part of the team that assembled the Forests Underwater aquascape in Lisbon but most of all he is the organizer of the EAPLC. So after the UKAPS I kept in touch with Jurijs through social media and when he posted the dates of the EAPLC party I felt tempted to go. It was a chance to meet another country, to meet other people that share the same passion as me and to see one of the aquascaping greats Dave Chow assemble a scape in person. So I asked Jurijs if the Party was only open to participants, to which he replied " Its open to everyone". The Party took place in a shop in the outskirts of Hamburg called Logemanns Garnelenhaus. 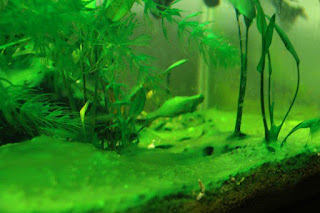 The shop is one of the best I have ever seen, a true aquascaping gallery. The aquascapes there were all impressive,well taken care and they stock an impressive amount of aquascaping materials. The Party was divided into two sections, first we had the result announcements as well as the prize awards, but the highest point of the day was the second part where Dave Chow assembled an impressive aquascape. I am a bit shy as a person, so the only thing I regretted about the day was not having made to effort to get to know more of the talented aquascapers present, but i can say that the best of the best were there. But that's not to say only the best can submit their works to this competition. 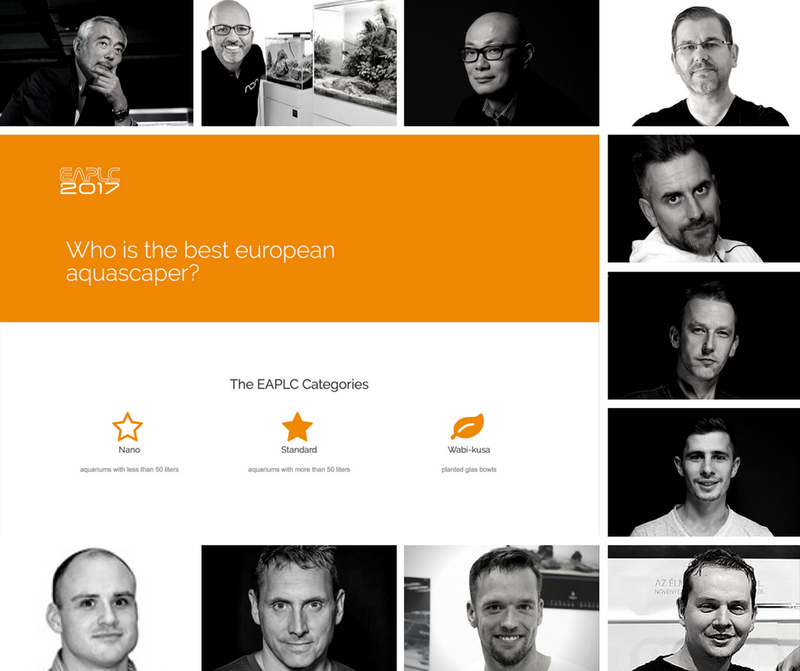 The contest is open to all aquascapers from Europe regardless of how good they are. So why not submit your aquascape this year? Most of us don't do it, and the reason is quite simple, we believe we are not good enough. But you'll never know until you try, and most of the great aquascapers of today had to start somewhere. Even them had doubts one day about how good they were. Yet they took the risk and today are amongst the best, maybe you can be too come November 2017. But if not, just participating is a great way to be part of the community. I have a nano aquarium that I hope to submit this year. Is it good enough to reach the top? Not really. But atleast I hope to learn from it and try again next year. P.S I have no affiliation to the organization of EAPLC. 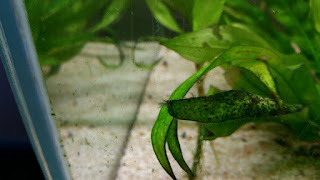 But as an aquascaping enthusiast, I think its up to us to help our hobby grow so decided to use my blog to help put the word out there.